Instant Alerts. To the right technician. With accurate information. So we can fix it fast. 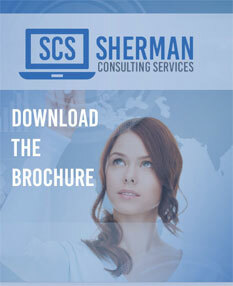 Sherman Consulting Services 24×7 Round‐the‐ Clock Monitoring turns conventional IT support on its head. Rather than wait for you to notice that a system has failed – often involving time consuming ‘systems fiddling’ on your part – our 24×7 monitoring will alert us to problems at your sites. We’ll almost always know about a systems issue before you do, so we can fix it fast and minimize your business disruption. What is 24×7 Round‐the‐Clock Monitoring? 24×7 Round‐the‐Clock monitoring checks your critical systems every five or fifteen minutes at your option. Whenever it sniffs a problem, it sends an email or SMS alert showing the exact nature of the problem directly to us. We’ll see the true nature of the problem – rather than having to depend on your best guess. That means we can fix it faster – and radically boost your overall uptime. Check any or all of your Windows® Services, vital components of your server’s operating system. Services provide vital services that allow you to logon to your network, access the internet, even print your work. If there’s a problem, we’ll be alerted instantly so we can take specific action to resolve the issue – almost always before you know you have one. Specific, informative alerts show us the exact nature of the problem. We can fix it faster. Problems are almost always highlighted to us before you even know you have one. Uptime is maximized. Alerts are routed to a technician. Alerts for mission‐critical systems can be set by SMS day or night. 24×7 Round‐the‐Clock takes a few hours to set‐up, doesn’t require any system reboots and can be protecting your business from downtime today.